Linux is a leading operating system for desktops, servers and systems such as mainframe computers and supercomputers. More than 90% of today’s 500 fastest supercomputers run some variant of Linux. 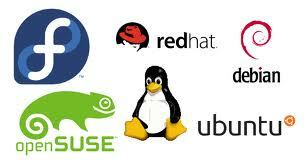 Linux also runs on embedded devices such as mobile phones, network routers, televisions and video game consoles. The Android system in wide use on mobile devices is built on the Linux kernel. Google, for example, runs Linux systems for its enormous number of servers. Linux can be installed on any PC or laptop. How do you use Linux? An extremely wide community participates in the development and improvement of software, decreasing costs and improving efficiency. Some benefits in using Linux. 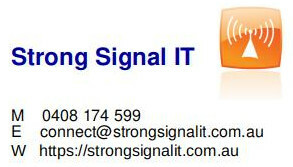 Easy system configuration and maintenance: keeping your computer and its OS in shape for extended periods needn’t be a struggle. Over time, Linux runs just as efficiently as on the first day. There is no need to de-frag your hard drive, for example. Temporary files don’t clog the system. Linux is also very easily customized to exactly match your needs, and style. Support: Linux benefits from a great sense of community whose friendliness will surprise you. Whether you’re trying to do something experimental but can’t succeed, or simply getting to grips with the basics, there are a lot of people around to help you out. The companies behind the main GNU/Linux distributions, such as Canonical and Red Hat, also provide expert commercial support, as do many smaller support businesses, including Strong Signal IT.